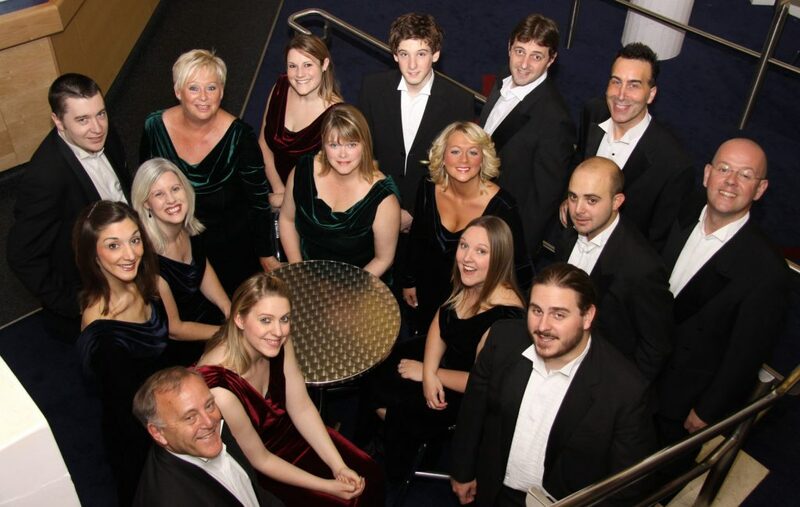 Ten in a Bar has established itself as one of Swindon’s premier close harmony singing groups. Under the direction of Jill Hodge, Ten in a Bar has become well-known in the area for its high standards of singing and professional and entertaining performances. The group is famed for its wide-ranging mix of music and quirky arrangements, from popular modern classics to serious contemporary works. Ten in a Bar started with 8 singers, a director and accompanist – hence the name Ten in a Bar! Nowadays the group can accommodate up to 16 singers. Ten in a Bar is fortunate to have many leading soloists, but it is the closeness of their ensemble work which endows them with a distinctive sound, unique to the local area. As an established director of competition choirs in the Swindon area, Jill formed Ten in a Bar in 1992 as a light entertainment group. As well as its reputation for high quality singing, they are also renowned for their zany sense of humour, more often seen in the comedy music sketches – a genre created by Jill. 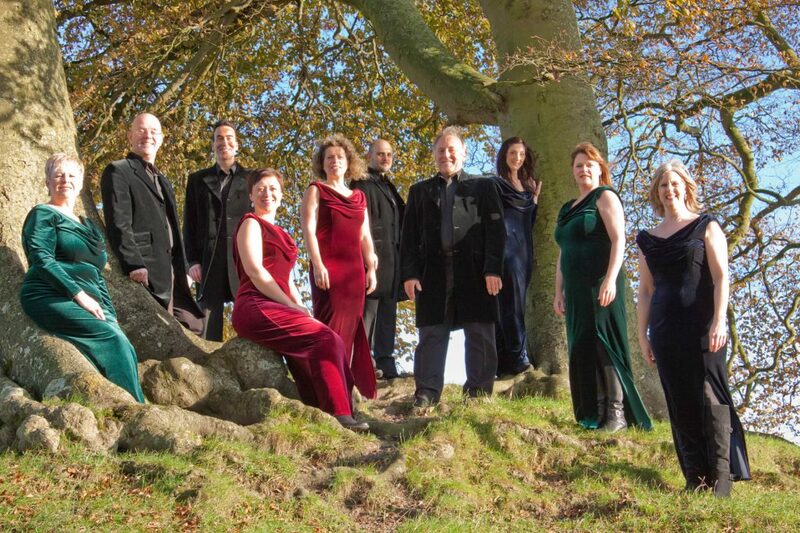 Ten in a Bar perform their 4 night annual show at the Arts Centre in Old Town, Swindon in February, and then select three or four concerts a year in which to feature their latest repertoire. How did Ten in a Bar start? As a vocal conductor Jill had worked with a number of music groups in Swindon and she was involved in many of the Community Projects at the Wyvern Theatre. This, combined with her passion for conducting children’s competition choirs, meant that Jill was used to conducting large numbers of singers. It was suggested, by a friend, that she should start a new group in the town – a type of chamber choir but with a difference! The friend, Jane Kingstone, from SALOS, was one of the founder members and still sings with the group 26 years on! What was the focus of the group in the early days? 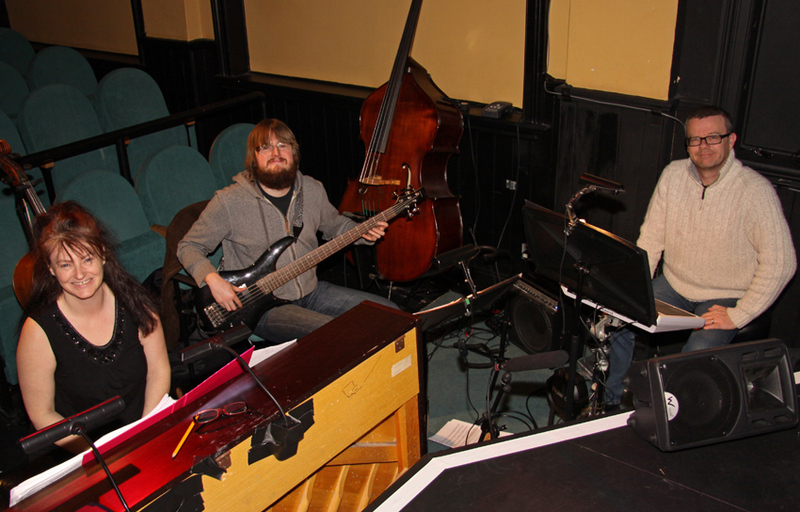 Jill decided on a group of mixed voices, covering all the vocal ranges, from bass to soprano. The ‘bijou’ nature of the group created a tight musical sound, with every singer playing a vital role. The range of repertoire was ‘light entertainment’ rather than songs from musicals. Contrary to popular belief, Jill loves musicals and has spent a lifetime conducting them, but she wanted to focus her new group, Ten in a Bar, in a new direction. Finding unique and special arrangements for the group to sing was an important consideration for Jill. Having a small group of high calibre singers meant that Jill could select more challenging material for this new venture. 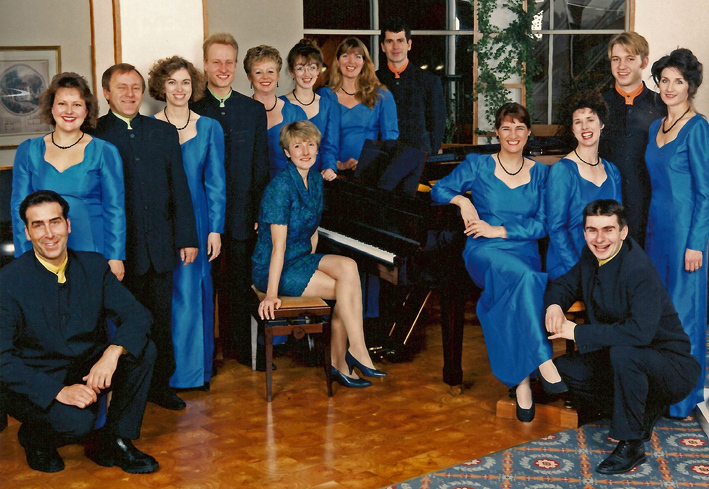 Four men and four ladies were invited to join and rehearsals began in Jill’s music room in Chiseldon in 1992. A new neighbour, who had happened to move back to Chiseldon from Switzerland, mentioned that she was a pianist. Kathy Wood was quickly recruited and became our pianist for over 20 years. How did the name Ten in a Bar come about? How would you describe Ten in a Bar and why perform at the Arts Centre? Very soon the group was performing around 18 concerts a year and the Arts Centre had become the annual platform to present their new show. Although Ten in a Bar is not strictly a ‘theatre group’, neither is it a choir that just stands and sings – maybe the best description is a sort of hybrid of everything, involving movement, acting, multi-media projection and comedy. At the forefront however, is Ten in a Bar’s love of harmony singing whatever the medium; classical, frivolous pop, serious pop, classics with pathos and songs that stir the heart. Achieving that intimate sound is the goal and is truly rewarding. 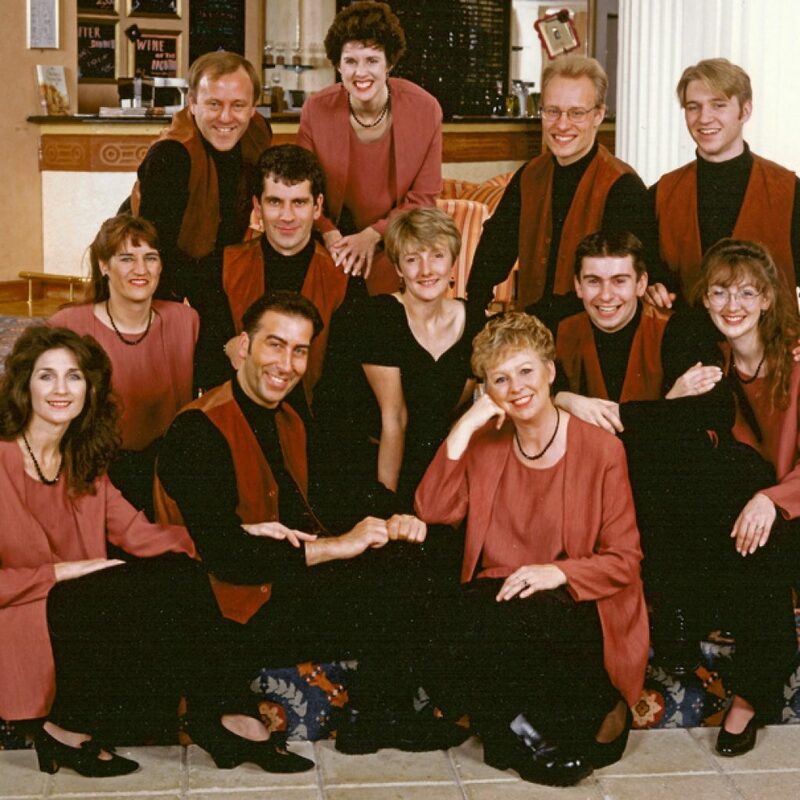 Their showcase piece ‘Italian Salad’ won first prize at the Swindon Music Festival and the group became established as ‘Swindon’s Premier close-harmony singing group’. Ten in a Bar is famous for its ‘sketches’ – how did they originate? After a couple of years Jill hit on a novel idea – a comedy mime set to music. The first venture was a bank robbery set to the music of Bach, and so the Ten in a Bar sketch was born! This was quickly followed with an Addams Family sketch, and then an intergalactic extravaganza set to the orchestral scores of Star Trek/Star Wars/Thunderbirds all rolled into one. Although the sketches characteristically do not include dialogue, Ten in a bar broke with tradition in 2002 when Jill crossed ‘The Sound of Music’ with ‘Nuns on the Run’. It was a great success. 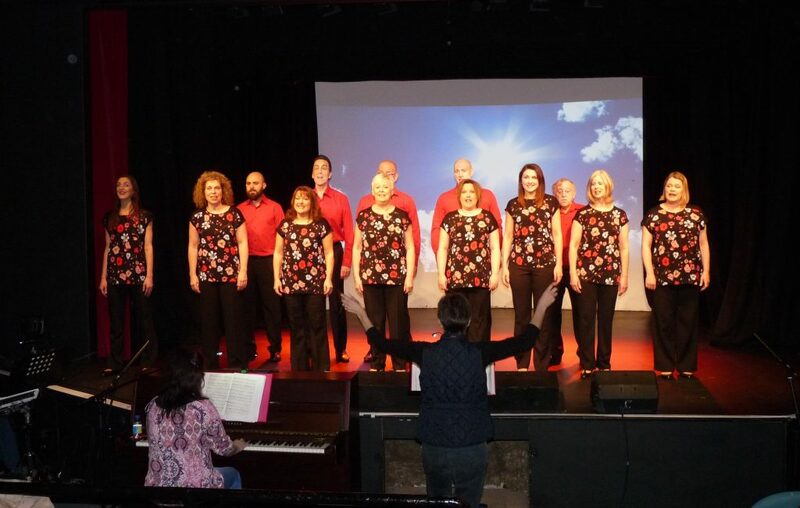 Recent sketches have included the day in the life of an A & E department set to the music of Les Miserables, and a mash-up of Sunday evening dramas including Downton Abbey, Poldark and Call the Midwife set to current music of George Ezra, Jessie J to name but a few. 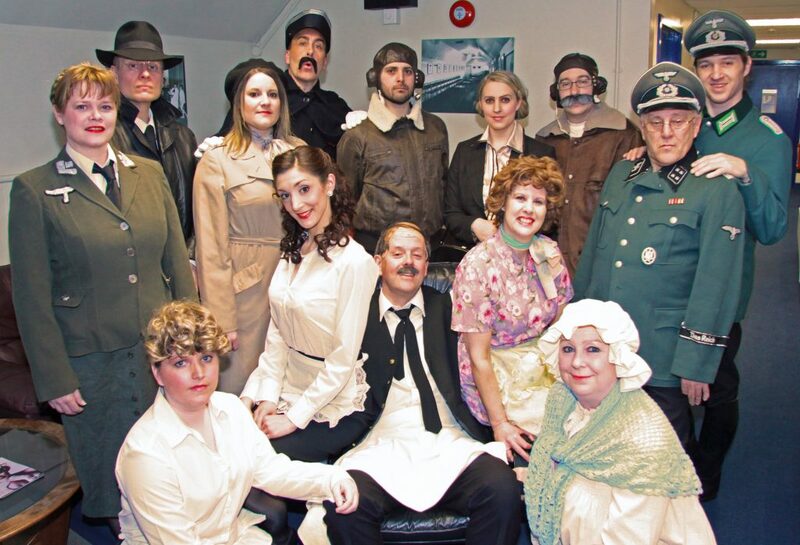 The comedy musical sketch has now become a regular feature of Ten in a Bar shows. What sort of classical music does Ten in a Bar perform? Jill’s love of sacred vocal music is rooted in her classical music training. In 2006 she introduced this genre to Ten in a Bar. This would challenge both the singers and the audience alike, who were used to lighter arrangements and rather ridiculous sketches. In order to create the right atmosphere in the theatre, Jill commissioned a film with a cosmic setting for the first piece, ‘Sleep’ by Eric Whitacre, which was played as the group performed. It was nerve-wracking, but the performance brought the house down; from that moment concerts have always included a section dedicated to young international composers. The rule is – the composers have to be alive and their music current in the classical music world; if you think about it, there are not many groups that would perform Ola Gjeilo and Bruno Mars on the same concert platform! Ten in a Bar is known for its multi-media production approach – how important is this to the group? Jill has always been interested in utilizing a multi-media approach to her shows and the 2010 production was no exception. ‘A Night at the Oscars’ combined both home-grown film and song. 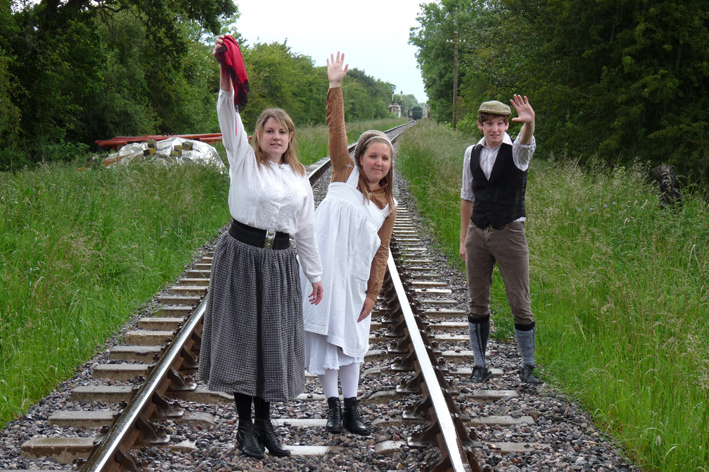 Members of the group took on new roles to play in comedy skits of famous films. ‘Brief Encounter’ filmed at Swindon Railway Station, ‘Gone with the Wind’ at Lydiard Park, ‘The Railway Children’ at Blunsdon Railway, ‘Gladiator’, ‘Calendar Girls’ and ‘Lawrence of Arabia’‘all filmed around the location of Swindon. This was a great success and proved to be something of an innovation on the Swindon amateur music scene. Jill continues to use films and creative projections to enhance the atmosphere of the song. What sort of Charity work does Ten in a Bar get involved in? Ten in a Bar is regularly invited to perform at charitable fundraisers. Over the years their performances have raised many, many thousands of pounds for both local and national charities. 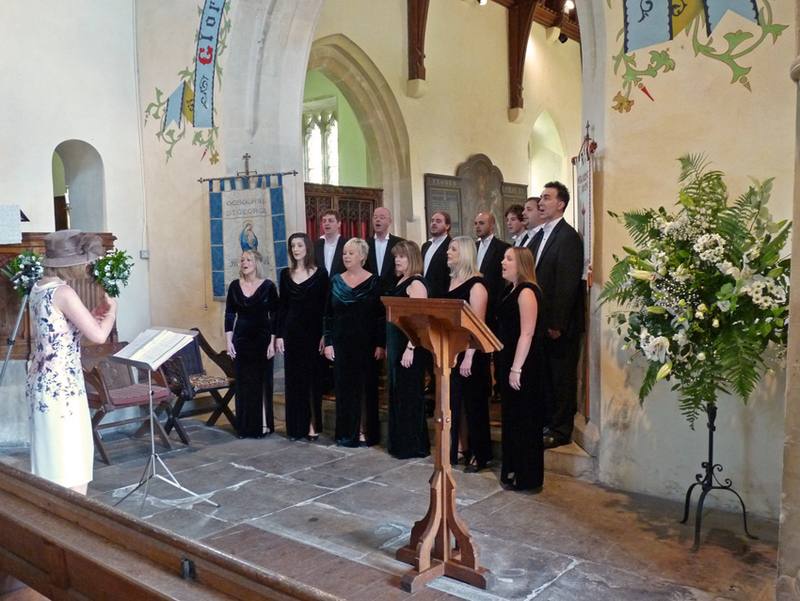 Most notable concerts have been for the High Sheriff of Wiltshire’s Swindon Cares Concert at Christ Church in Old Town. Ten in a Bar has been performing in these concerts for over 10 years. 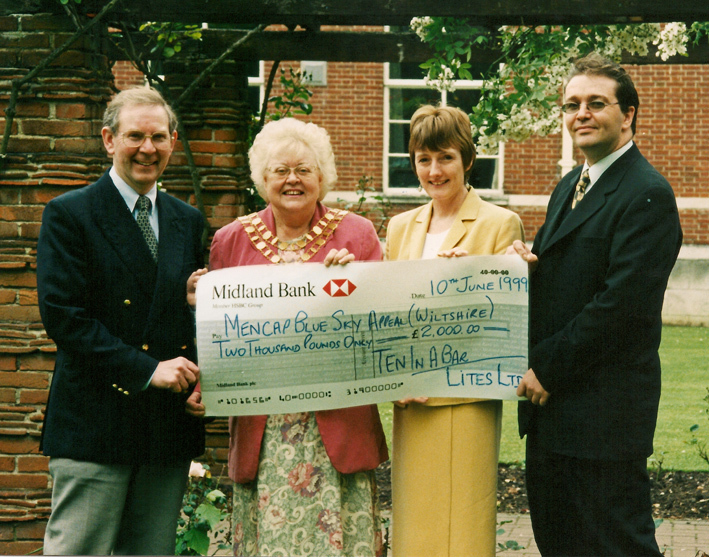 Ten in a Bar’s charity work was officially recognised when, in May 2012, Jill was honoured with an invite to the Queen’s Garden Party for her services to the community. And what about the singers? The singers of Ten in a Bar come from all walks of life and from different backgrounds of musical experience. A number have been involved in the amateur dramatic scene and so are used to acting and dancing; others have experienced singing in choirs and choral groups and are familiar with choral repertoire. For some members, Ten in a Bar was their first proper singing group. Ten in a Bar continues to attract the most wonderful singers, and the number of talented people who have joined the group has been staggering. The comings and goings of different characters and voices has been a blessing for Jill in that it has allowed her to perform different types of material appropriate to the voices. This has meant that the group has evolved and has never stayed the same. Conversely, it has also been wonderful to have not just the ‘founder’ member of the group (Jane Kingstone) still with us, but those who joined soon after and stayed the length of time (Peter Kent and Sue Hills). Some members were students of Jill’s (Martin Read at school and Tracy Cuthbert in the Community Wyvern Shows) and others who have racked up a good few years now and have remained long standing loyal members, Paul Skidmore, Ali Canning and Heather Reynolds. And as for the latest members of the group, they are the ones that add the diversity and keep the group evolving. The high calibre of Ten in a Bar also calls for excellent musicians, in the form of a band, and we been very lucky to have some of the best instrumentalists in the town, and out of town; in the likes of Steve Parker, Andy Griffiths, James Agg and Tracey Absalom. We are very fortunate to have Kirstie Smith, a Music Examiner, gigging musician, vocal coach, lecturer and music arranger as our current pianist. Apart from your annual Arts Centre show – what other events do you do? The Arts Centre show takes up a whole week in the Ten in a Bar calendar and it is great fun to be performing under the spotlights; however, we also do many concerts around the local area in churches and halls. We are fortunate, in that our repertoire lends itself to both types of venues, and we really appreciate the natural acoustics of a beautiful abbey or church. We also perform at private functions, birthdays, civil ceremony weddings and church weddings. Why is Ten in a Bar unique? Without a doubt, Ten in a Bar’s unique selling point is its subtle blend of harmonies, unusual arrangements and quirky disposition. The range of music is vast, from jazz from the 40s to pop songs from the 60s onwards, from contemporary pop to contemporary classical music. Humour features strongly in the form of the musical sketch which is always an original concept. High standards of singing are expected and Ten in a Bar is renowned for its slick, professional performances. Ten in a Bar is lucky in that its members are a dedicated, talented, fun-loving group of people who enjoy working to achieve the highest quality of singing. I consent to TENINABAR collecting my details through this form.